Facebook’s communications and policy boss has admitted hiring a PR firm to investigate philanthropist George Soros, linking critics of the company to the billionaire investor in an attempt to undermine their claims to be grassroots groups. 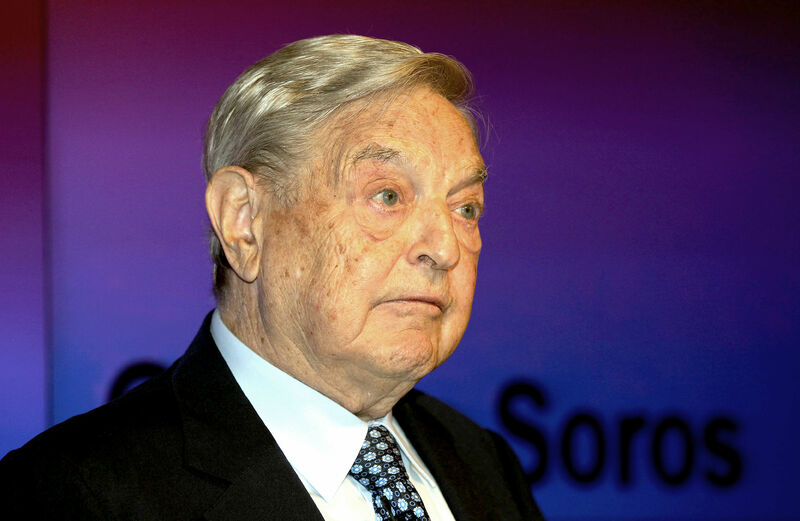 In a blog post, outgoing communications and policy head Elliot Schrage, who is Jewish, said Facebook asked Definers to “do work” on Soros after he criticised the company in a speech at the start of 2018. Facebook chief executive Mark Zuckerberg and chief operating officer Sheryl Sandberg denied knowledge of the firm’s hiring and its work, after it was revealed by a New York Times report into the company’s culture. In a blog post, he added: “In January 2018, investor and philanthropist George Soros attacked Facebook in a speech at Davos, calling us a ‘menace to society’. “We had not heard such criticism from him before and wanted to determine if he had any financial motivation. Definers researched this using public information. “Later, when the ‘Freedom from Facebook’ campaign emerged as a so-called grassroots coalition, the team asked Definers to help understand the groups behind them. Definers’ focus on Mr Soros has left Facebook in a difficult position because the billionaire, who is Jewish, has long been the subject of a range of online, right-wing conspiracy theories that many regard as antisemitic. Adding to Mr Schrage’s blog post, Ms Sandberg said that as she oversees Facebook’s communications teams she takes “full responsibility” for their work. “I also want to emphasise that it was never anyone’s intention to play into an antisemitic narrative against Mr Soros or anyone else,” she said. Mr Schrage also used the post to defend Facebook’s use of opposition research. “Some of this work is being characterised as opposition research, but I believe it would be irresponsible and unprofessional for us not to understand the backgrounds and potential conflicts of interest of our critics,” he said. He added that Mr Zuckerberg has launched an evaluation of how Facebook works with communications consultants. “Mark has made clear that because Facebook is a mission-driven company, he wants to hold us to a higher standard. The social network said its legal team is now reviewing its work with Definers and that new global affairs head and former UK deputy prime minister Nick Clegg is looking at the company’s work with all PR firms and has been asked to “propose principles and management processes to guide the team’s work going forward”. The timing of Facebook’s post, which was published on the eve of Thanksgiving in the US, was criticised by Patrick Gaspard, head of Mr Soros’s philanthropic arm the Open Society Foundations. “So @facebook decides to drop a turkey on Thanksgiving eve, with admission that Definers was tasked by company leadership to target and smear George Soros because he publicly criticized their out of control business model,” he tweeted. Listen to this week’s episode of the Jewish Views Podcast!